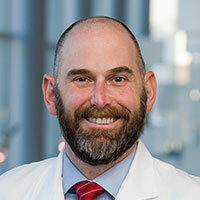 Robert Stewart, M.D., is an Assistant Professor in the Division of Maternal-Fetal Medicine and Obstetrics in the Department of Obstetrics and Gynecology at UT Southwestern Medical Center. His practice is located at the UT Southwestern Maternal-Fetal Medicine Clinic at Children's Medical Center at Legacy, in Plano, Texas. After graduating from Baylor University and earning his medical degree at Texas Tech University School of Medicine, Dr. Stewart completed his residency in obstetrics and gynecology and his fellowship in maternal-fetal medicine at UT Southwestern. Dr. Stewart focuses his research on HIV and pregnancy, most recently publishing an article titled “Benefit of inter-pregnancy HIV viral load suppression on subsequent maternal and infant outcomes” in the American Journal of Obstetrics and Gynecology. He’s also involved in a multiyear prospective clinical trial on cardiac physiology in pregnancy using cardiac MRIs to define normal cardiac changes in pregnancy. Dr. Stewart is the primary investigator representing UT Southwestern with the North American Fetal Therapy Network, an association of medical centers with established expertise in fetal surgery and other forms of multidisciplinary care for complex disorders of the fetus. In his free time, Dr. Stewart enjoys spending time with his wife and two children. When high-risk pregnancy patients are referred to specialist Robert Stewart, M.D., he goes out of his way to provide excellent, compassionate care and makes sure they understand exactly what’s going on with their pregnancy. Dr. Stewart sees women with high-risk conditions during pregnancy that can range from advanced maternal age (AMA), hypertension, and diabetes to problems with their baby, such as chromosomal abnormalities, twin pregnancies and their complications, fetal growth restriction, and fetal birth defects. He partners with patients and their regular Ob/Gyns to help women manage their own health during their pregnancies and deliver healthy babies. Some of the procedures and exams Dr. Stewart performs include first-trimester nuchal translucency screening, targeted sonograms to evaluate fetal anatomy, biophysical profiles to determine fetal health in the third trimester, cerclage placement, and amniocentesis to detect genetic disorders or fetal infections. While having a high-risk pregnancy can be stressful for expectant mothers, Dr. Stewart is committed to making patients feel comfortable. “I realize that any time someone is referred to a subspecialist, it can induce anxiety, especially when you’re dealing with a pregnancy,” he says. 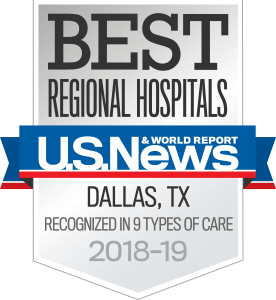 Located in Plano at the UT Southwestern Maternal-Fetal Medicine Clinic at Children's Medical Center at Legacy, Dr. Stewart has access to everything a mother and baby could ever need when it comes to their health. The Legacy location offers Children’s Medical Center specialists in cardiology and neurology, among many others. Children’s Medical Center in Dallas offers a Fetal-Neonatal program specializing in fetal complications diagnosed at birth or before birth, and the new William P. Clements Jr. University Hospital in Dallas provides access to more than 30 neonatal ICU rooms, giving each baby his or her own room where parents can spend the night. Impact of Pregnancy on Maternal Cardiac Atria. The Effects of Maternal Position and Habitus on Maternal Cardiovascular Parameters as Measured by Cardiac Magnetic Resonance. Cardiac Magnetic-Resonance Imaging (CMRI) to Assess the Impact of Maternal Habitus on Cardiac Remodeling During Pregnancy. Association between number of live births and markers of subclinical atherosclerosis: The Dallas Heart Study. The Use of Protease Inhibitors in Pregnancy: Maternal and Fetal Considerations. Pregnancy Intentions Among Women Living With HIV in the United States. The obstetrical and neonatal impact of maternal opioid detoxification in pregnancy. West nile virus infection in pregnancy. Efficacy of maternal and neonatal chemoprophylaxis for early-onset group B streptococcal disease. Opioid Use Disorder in Pregnancy: Health Policy and Practice in the Midst of an Epidemic. Benefit of Inter-Pregnancy Hiv Viral Load Suppression on Subsequent Maternal and Infant Outcomes. Hepatitis B Vaccination in Pregnancy in the United States. Q&A by Robert Stewart, M.D. What if I have an infectious disease and want to get pregnant?